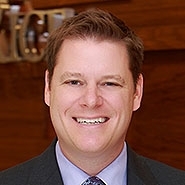 Lewis Rice member David W. Gearhart was selected as a Top 100 Lawyer for Immigration by The National Advocates, an invitation-only professional organization composed of the top 100 attorneys from each state or region who exemplify superior qualifications of leadership, reputation, influence, and performance in their area of specialty. The exclusive organization extends membership solely to the select few of the most qualified attorneys who are measured by objective and uniformly applied standards. Dave focuses on counseling businesses and individuals with respect to immigration-related matters including temporary/permanent work visas; permanent residence based on family relationships; citizenship; J-1 visa waivers; and securing student and visitor visas. During his tenure, Firm clients have experienced a success rate exceeding 99% on immigration filings. He also regularly advises and trains employers with respect to work authorization compliance issues, I-9 audits, and investigations.